In 1904, the Sisters of St Brigid from Echuca were invited to begin a secondary school for girls at Mentone. Mother Alacoque Bourke, the Provincial Superior managed to put a deposit on the Mentone Coffee Palace. It was purchased fully furnished for £2,050. St Brigid’s as it was formerly known began with three students. In 1927 Mother Margaret Mary Bourke was appointed Principal of St Brigid’s College, a position she held for close to forty years. During the thirties, at the request of parents and past students, the school was renamed ‘Kilbreda’ from the Gaelic Cill and Breda, meaning the Church or Holy place of Brigid. 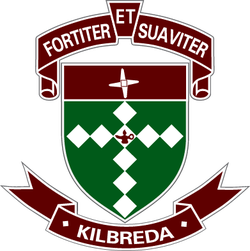 Today Kilbreda is a dynamic Brigidine Secondary School of over 1000 young women. Kilbreda College in Mentone, is a Brigidine Catholic Secondary College where Christianity is lived out through core gospel values and the Brigidine tradition of ‘Strength and Kindliness’. In partnership with families and the Brigidine Stewardship Council, Kilbreda is committed to a dynamic education that challenges young women to learn together and engage the world. Religious Education and Faith development are central to the curriculum and all aspects of school life. Students experience a curriculum that encourages excellence, participation and belonging. Curriculum support and extension opportunities are offered at each year level. While the majority of senior students study the VCE, some choose VCAL, with VET studies also being available. Kilbreda offers a safe environment that encourages learning. Management and care of students is informed by fair, clear policies that recognize responsibilities and rights. Teamwork and excellence develop through sport, choir, ensembles, Kilbreda Festival, Duke of Edinburgh Award, debating and Tournament of Minds. Individual confidence is encouraged through music, drama, public speaking and English, writing and mathematics competitions.